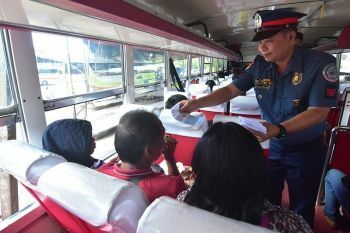 THE Armed Forces of the Philippines (AFP) is calling for a positive change in the society as attested by the veterans who defends the country during Second World War. During April 9’s Araw ng Kagitingan celebration, Brigadier General Ferdinand Cartohano of the Philippine Military Academy said there is a need to continue the need for Filipinos to sustain its love for the country. “Our fore fathers who have given their lives have shown their valor or strength of mind and spirit in great courage in the face of danger, especially in battle. This Day of Valor is a day where we remember those who have fought in Bataan for freedom of our country. But is there a need for us to die for our country to prove our valor? It maybe yes and no," Cartohano said. “Yes, because just like the grave soldiers of the Armed Forces of the Philippines, they have pledged to give the ultimate sacrifice to protect the peace and freedom of the country against those who would want to invade the country. No, because in every civilian in both the public and private sector, they can show their valor in strength to do what is right and to undo what is wrong in our work and in our homes,” added the PMA official. Several activities were lined – up to commemorate the 76th Araw ng Kagitingan held at the Veteran’s Park along Harrison road on Monday. A wreath laying ceremony which was participated in by city officials, post-war veterans, sons and daughters and other guests while the local government also recognized the veterans and their families during the occasion. Baguio City Mayor Mauricio Domogan said it is unfortunate the country is celebrating and commemorating the Fall of Bataan or where the Philippines lost in the war but Filipinos do not celebrate the victories that were made, particularly the surrender of Japanese Imperial Army leader Gen. Tomoyoki Yamashita to the allied forces on September 3, 1945 right inside the Ambassador’s Residence in Camp John Hay where Gen. Yamashita signed his surrender documents. 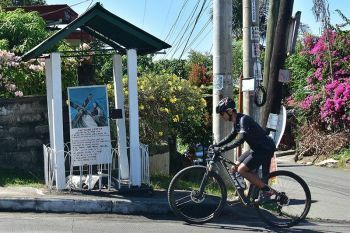 Further, he emphasized that Baguio City should be part of the country’s history books because it is where World War II started on December 8,1941 and ended on September 3, 1945. It can be recalled that in the morning of December 8, 1941, a fleet of Japanese warplanes flew over the city and dropped bombs that destroyed the main gate of Camp John Hay which signaled the start of World War II in the Asia-Pacific Region. After Gen. Yamashita was captured in Kaingan, Ifugao on September 2, 1945, he was brought to Baguio City by the allied forces and it was inside the Ambassador’s Residence where he signed his surrender documents that signaled the end of the hostilities between the Japanese and the Filipino-American forces. Lawmaker Mark Go refilled the bill previously authored by Domogan seeking to declare every September 3 as National Victory Day not only in the city but also in the whole country in celebration of the formal surrender of the Japanese forces to the allied forces. To date, the formal celebration of every September 3 as Victory Day is done only in the city because of the absence of the required legislation for the formal declaration of the said date as National Victory Day nationwide. 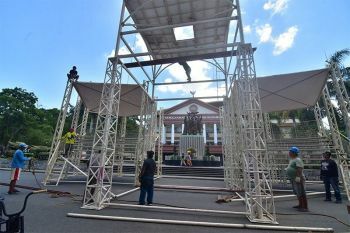 Local officials urged the public to actively participate in the commemoration of Araw ng Kagitingan to pay tribute to the living veterans and their families for the sacrifices that they have made during the war.